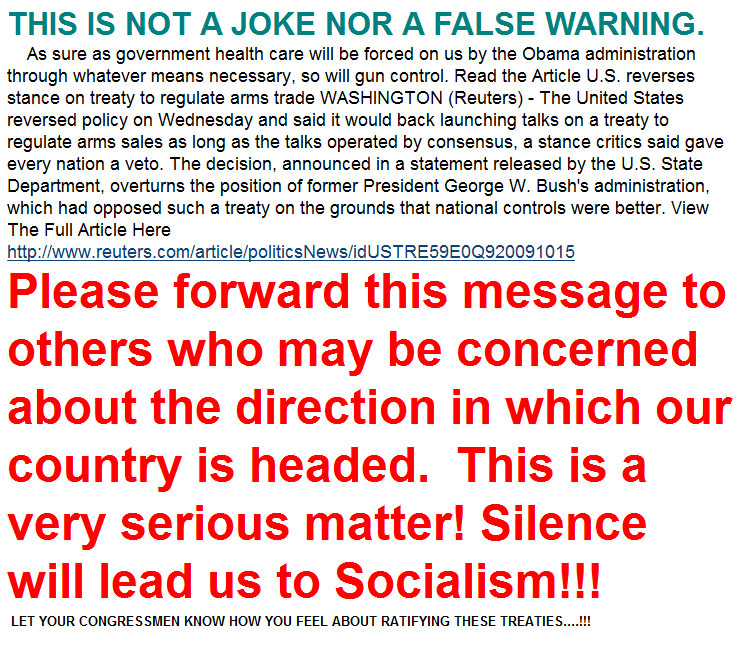 "VERY SERIOUS WARNING.......By DON HUSTED"
1) The treaties that the email talks about have nothing to do with Americans owning guns in the USA. 2) Private citizens could never be deprived of Constitutional rights by an international treaty. 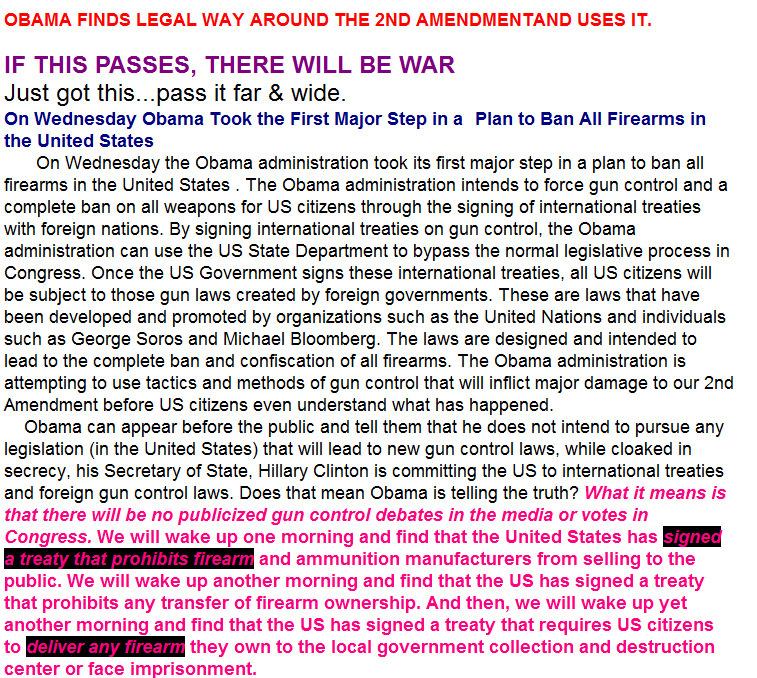 The UN has not even drafted a small arms treaty yet. The treaty in that Reuters article "has nothing to do with restricting the sale or ownership of guns within the United States. The aim of a potential U.N. arms treaty is to combat the illicit international trade of small arms," and "even if such a treaty came to pass, U.S. rights and laws regarding the sale and ownership of small arms would still apply within the United States." I guess some people are so certain that Barack Obama wants to take their guns that they just can't believe the facts: Gun laws have been loosened around the country since the 2008 election, and nothing short of a Constitutional amendment or a radical Supreme Court ruling could take away your right to keep and bear arms. Regardless of how you feel about the president, I think we can agree that this kind of dishonesty and playing on people's fears doesn't help us have any kind of productive discussion about politics. I hope this was helpful and that you'll continue to share stuff like this with me in the future.